For the first five days of our exhibit « The Scale of Life », visitors have been intrigued by a very innovative artwork on show at the gallery. 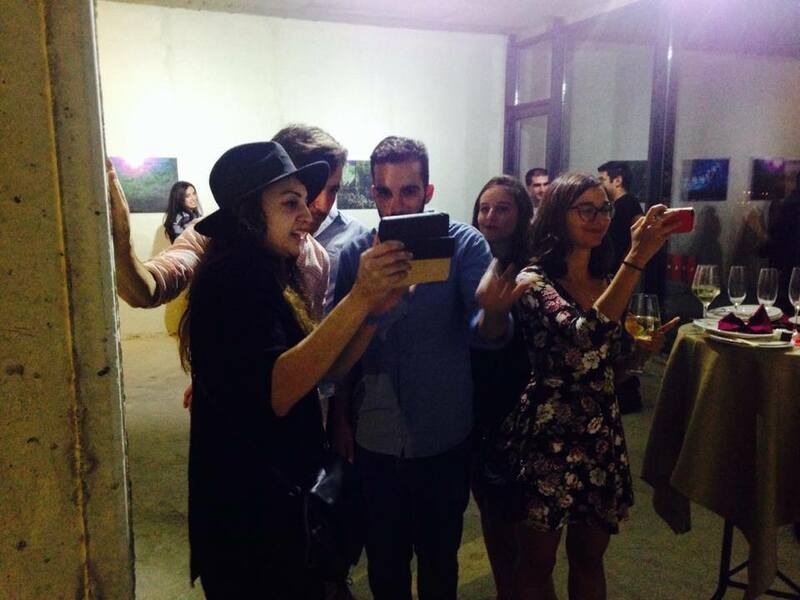 On the right side of the gallery stands « Vishapunette » (Dragonette), the first augmented reality art piece in Armenia. 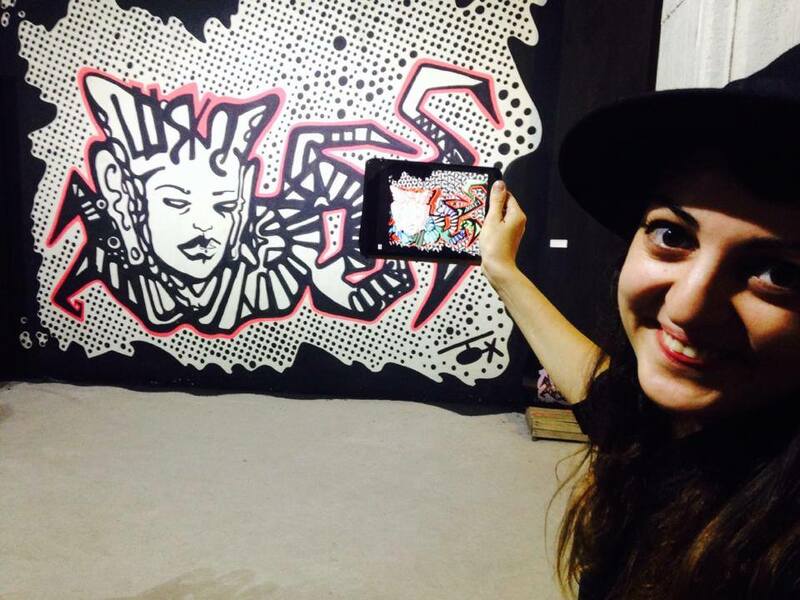 The mural was created by artist LUSKA and augmented with the technology of ARLOOPA, a Yerevan-based IT start-up. 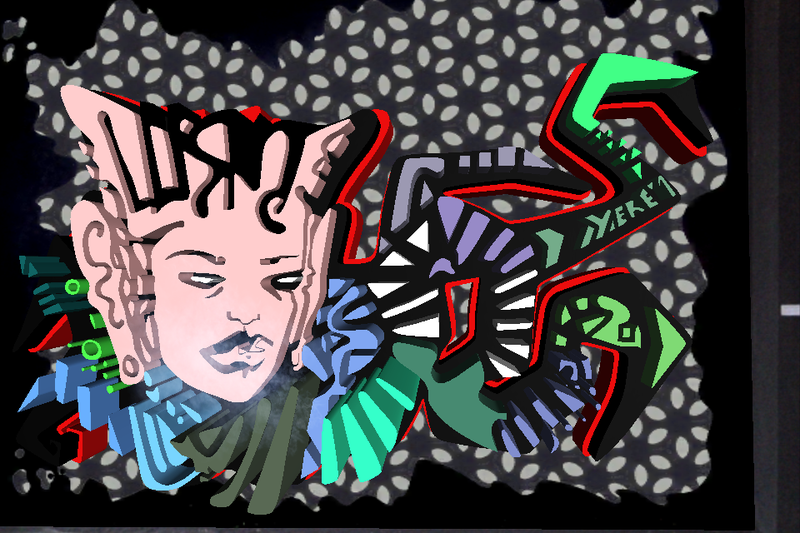 Luska created a mythical creature of her own, a woman-serpent-dragon from her “Part Time Alien” series in which she morphs imaginary aquatic and cosmic creatures. When scanned with the ARLOOPA app on a smartphone or a tablet, the creature becomes alive! Intense and playful, « Vishapunette » is a definite highlight for all our visitors, from tech-lovers to kids… and former kids. 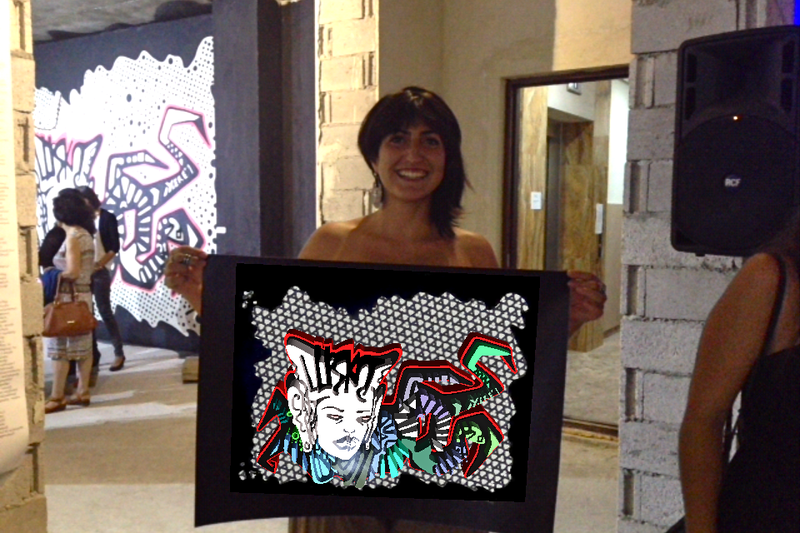 Our curator Anna K. Gargarian was first contacted by Luska in July – upon seeing her bold, unique style, she immediately booked her for HAYP’s upcoming « The Scale of Life » exhibit. 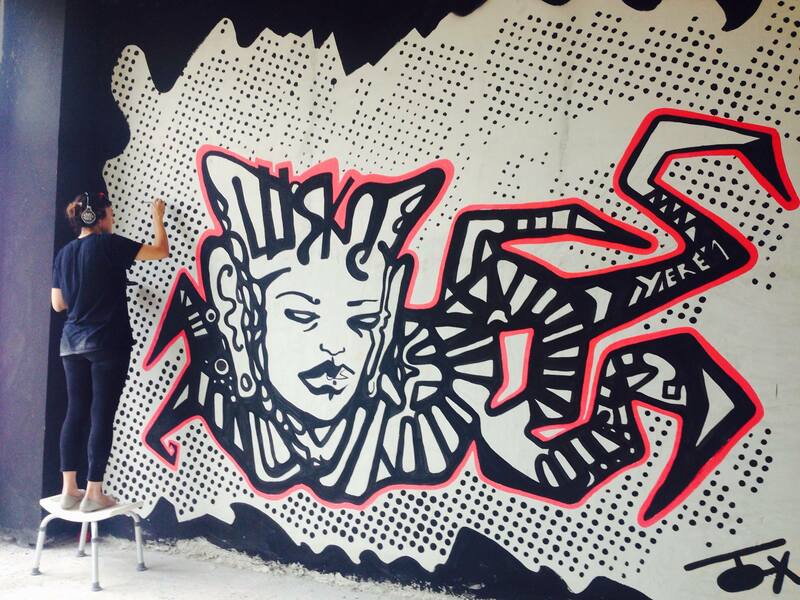 Luska used water-based paint to create the mural, which took three days to finish. She then worked tirelessly for a few more days with the ARLOOPA team to make her creature come alive. 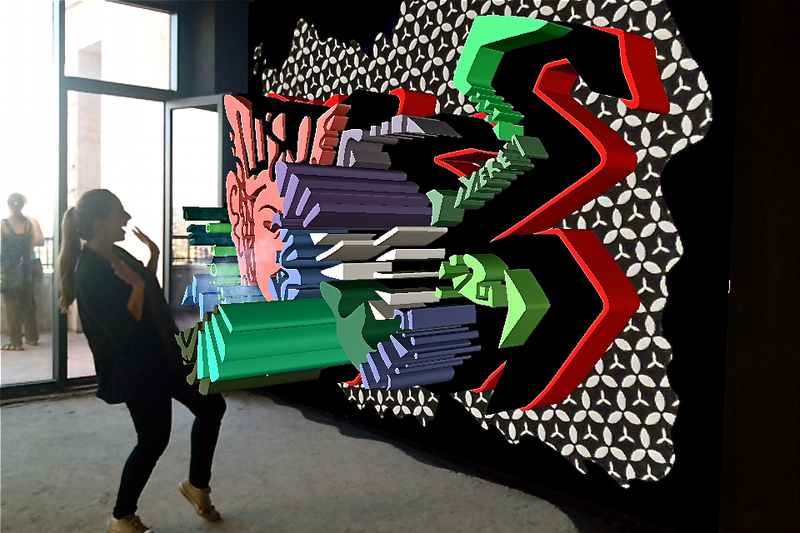 Luska’s augmented reality piece was a real success – to the extent that several people asked why the other artworks at the gallery weren’t augmented as well. 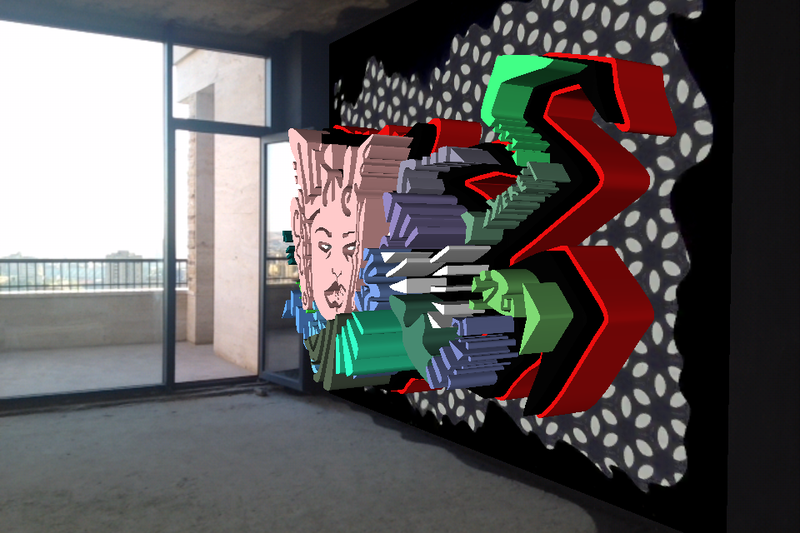 You might think it’s apsos (« too bad ») to have this amazing marriage of street art and technology last only the duration of the exhibit… But the magic doesn’t end here – we printed posters of Luska’s work, and the ARLOOPA app works on them as well. 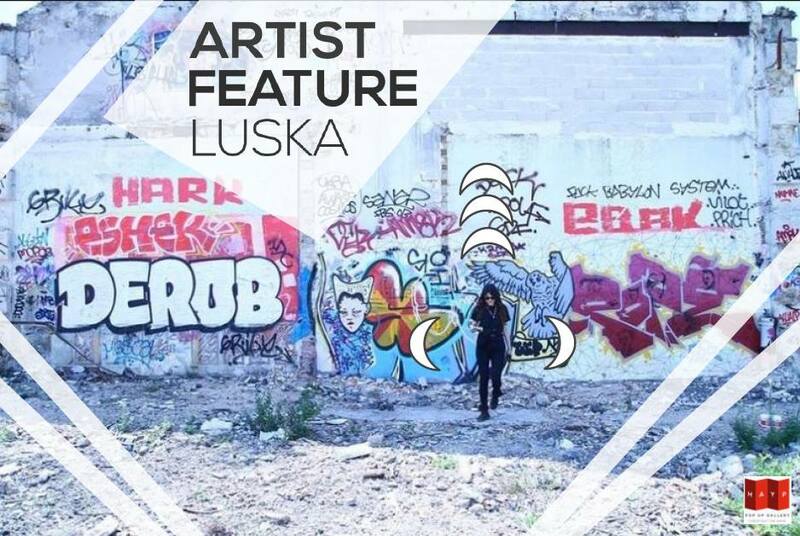 Those posters are exclusive limited edition prints signed and numbered by Luska herself. You can come see us at the gallery and bring home your own magical artwork! 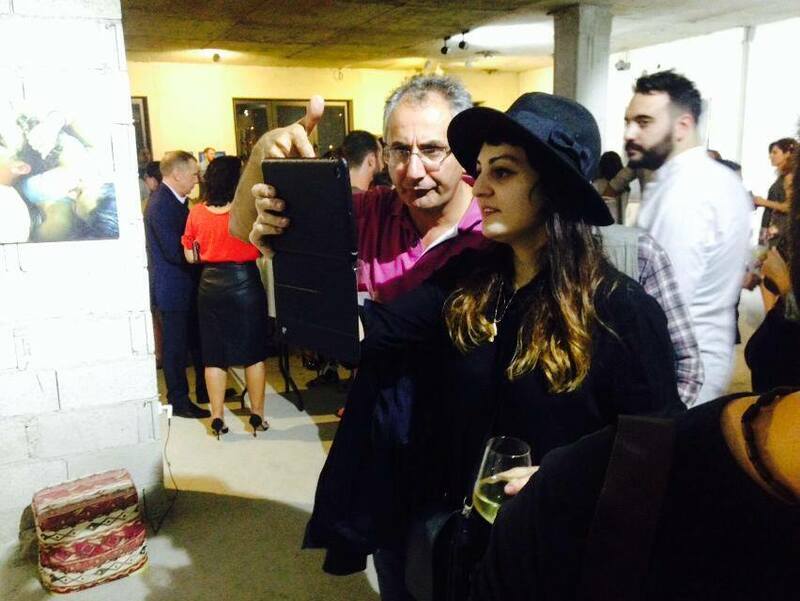 To see Luska’s work before it get’s taken down, and to get your own limited edition prints, you can visit HAYP Pop Up Gallery at Yerevan Residence, 186/11 Antarayin Street, 6th floor. We’re open from 4PM to 9PM everyday until Monday, September 7.